In 2011, to mark the day in Australia, a presentation on The Wild World of Frogs was held at the University of Queensland. Two events were held in New Zealand: Hamilton Zoo raised awareness and took tours of its frogs; and there was a ‘Save the Frogs Search’ at the National Aquarium of New Zealand in Napier. 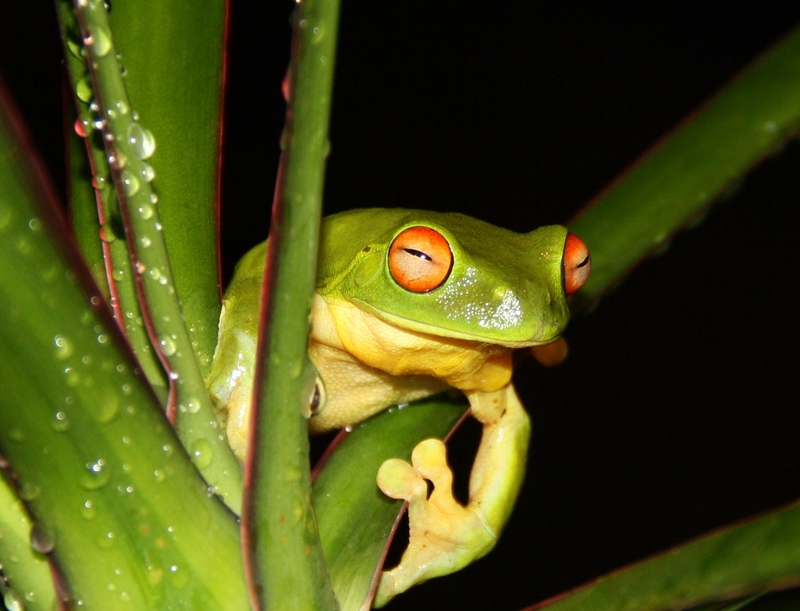 Save the Frogs and Amphibian Ark are great international resources on frogs and amphibians. The Amphibian Research Centre and NZ Frog are good places to start for more local information. We have some amazing frogs in Australasia. Australia’s many wonderful frog species have adapted to every habitat on the continent, from the wettest rainforests to the driest deserts. Some of Australia’s most amazing frogs have disappeared in our lifetime – the Gastric Brooding Frog, for example, which raised its tadpoles in its stomach, became extinct in the ‘70s or ‘80s. NZ Frogs is coordinated by Dr Phil Bishop from the University of Otago. If you get a chance, make time to watch Phil’s 6-part ‘webinar’ hosted by Save the Frogs. It is a very informative and easy to follow seminar. Parts 6 to 8 are question and answer time, and can be viewed at the Save the Frogs YouTube channel>. Dr Kevin Zippel, Why Do We Need an Amphibian Ark?, ActionBioscience.org. This entry was posted in Animal rights and tagged amphibian extinction, frogs, save the frogs day by Christopher Madden. Bookmark the permalink.